Isles of the World offers a unique style town home in the World Golf Village. Concrete block construction on the first floor with a separate courtyard and lanai. 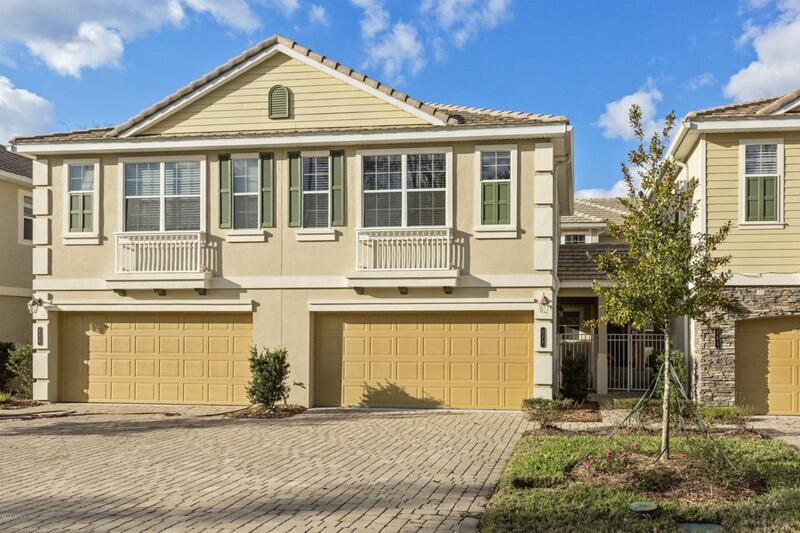 This 4 bedrooms with separate loft/ 3.5 bathrooms boasts over 2393 sq ft of living space w/ 2 car garage. Tile floors in main living area and dining room. Newly installed carpet and neutral paint throughout. Master bedroom located downstairs with secluded private lanai over looking the lake right out the sliding glass doors. Over sized master bathroom with garden tub, standing shower, his/her sinks, spacious closet and toilet closet.Open Loft upstairs with tandem windows letting in lots of natural lighting. Tguest bedrooms with walk in closets. Above the garage is a separate apt with a full bath, walk-in closet & coffee bar, mini refrigerator. Gated community. Access to the King and Bear Amenities.